It seems like the more gun control advocates try to limit the Second Amendment with studies, the more it blows back in their face. Just look at the study conducted by the Violence Prevention Research Program (VPRP) at UC Davis and the Johns Hopkins Bloomberg School of Public Health, which found that California's strict gun control laws had absolutely zero impact. Now the Department of Justice released a survey they conducted on 300,000 inmates who used firearms in their crime. And guess what was discovered? 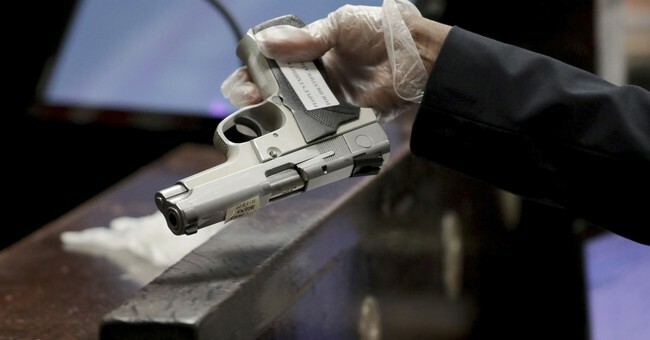 Ninety-seven percent of all firearms used in a crime came from the black market. How shocking, right? Here's the rather ironic part though: Sen. Dianne Feinstein (D-CA) has reintroduced her Assault Weapons Ban, but these criminals admit that the majority of their crimes were committed with a handgun, not a rifle. When anti-gunners try telling you that an Assault Weapons Ban would make America safer and keep guns out of the hands of criminals, show them this study. Show them this science. They claim to love studies and want cold, hard facts. Well, there they have it. Criminals fully admit that they use firearms in crimes (which we knew), they admit that they get their guns through the black market (which we knew) and the majority of them use a handgun to carry out their crime (which most of us knew). How many more studies will it take for anti-gunners to realize that their policies do nothing but hurt law-abiding gun owners?